The Bonaventure experience makes "retirement living" and "the perfect lifestyle" synonymous. Bring together all the things you enjoy about your current way of life with the freedom to relax, to adventure, and to socialize! At Bonaventure, we don’t just rent you an apartment; we provide you with a home and the lifestyle you deserve! As a family-owned company, we understand the importance of helping you feel at home in your retirement community. We proudly provide our senior residents with a variety of living options, from amenities to accommodations. Whether you opt for privacy or adventures with new friends, we’re here to make your next chapter as perfect as possible with plenty of amenities and senior apartment options to choose from. Just because you are retired doesn’t mean you have to slow down! At Bonaventure, retirement living means you finally get to live the way you want to. We want to make it easy to live on your terms, which is why our services include delicious meal preparation and serving, weekly housekeeping and linen services, as well as 24-hour staff assistance available when needed. Without having to worry about the chores, you'll have more time to focus on filling your schedule (or not filling it, if pure relaxation is the goal). Comfort, entertainment, fitness, and technology are all at your fingertips. We’re dedicated to providing a comfortable, attractive, affordable place for you to call home, with amenities suited to your lifestyle and preferences. Are you in the mood to socialize? 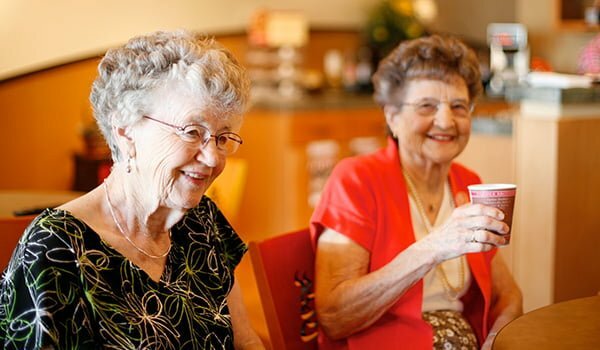 Our retirement community has a wide selection of classes, interest groups, and excursions. Are you looking for something a little more relaxing? Curl up with a book in the library, enjoy a day at our beauty shop, or seek self-care in your private jetted tub! 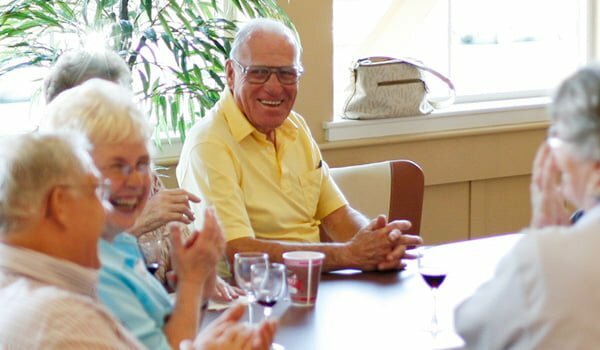 Bonaventure is more than just a retirement home for seniors–it’s a retirement community where you can settle down in and meet new people. Our private amenities are perfect for days when you’re looking for me-time, and our vibrant surroundings are perfect when you’re looking to get out and about. At Bonaventure, we do away with the mundane, ensuring there’s always something fun happening around our community. Whether it’s watching a ball game with friends, gardening, playing cards, or reading the newspaper over coffee at our café, you’ll find a variety of opportunities to be as involved as you like. At Bonaventure, every day brings new activities, helping make retirement an exciting time of life! If you or your loved one is looking for a retirement home that genuinely cares, Bonaventure Senior Living is the retirement community you need. With a mixture of living options, a vibrant and active community, in addition to on-site, 24/7 certified caregivers, we are sure to provide you or your loved one with the care they need. For more information about our retirement living services call us today at 503-967-8508.